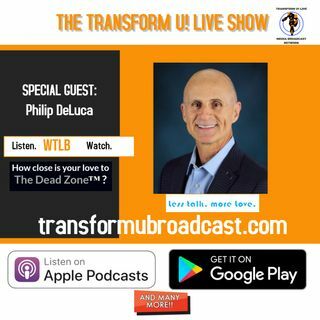 Philip DeLuca, LCSW, known as the Un-TalkTM Therapist and Un-TherapyTM is what he do: teaching people how to stop talking in order to communicate better, heal their relationship(s) and even their health! A new approach to communication. It is both an expose on how current communication approaches are left over from the 60's, are not supported by current science and generate more rather than less conflict. Not only do DeLuca show, clearly and simply, why the current "Express ... See More Yourself" communication approaches are relationship suicide, DeLuca also show why they lead to health problems. DeLuca also provides an alternative solution that is easy to grasp, simple to implement, and brings immediate improvement to a person’s relationship and health.